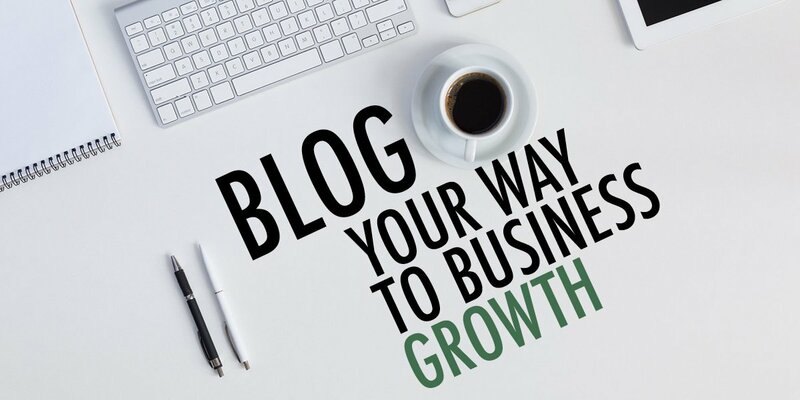 Ways You Can Use a Blog to Drive Business Growth | Roop & Co.
Business blogs are long-term marketing assets with proven ability to increase traffic to your website and generate leads. B2B companies that blog have 55% more website visitors and 67% more leads per month than those that don’t. Not a bad conversation rate for a single, low-cost marketing channel! Alas, business blogging is no casual endeavor. To reap the rewards of increased online visibility through blogging, your blog needs a bevy of rich content bedazzled with SEO terms. A HubSpot research study, Lead Generation Lessons from 7,000 Businesses, showed that companies that see the most return in traffic and leads blog 20 times or more each month! Generating this heavy volume of content demands a structured work flow. Otherwise, you risk publishing poorly performing content, which of course, is counterproductive to your mission. Before hitting “publish” to release your business blog into the internet wilderness, review the must-have points below and refer to our downloadable Ultimate Business Blogging Checklist to make sure it is polished and has the acuity to survive. Keywords of common searches related to the topic should be included in the title of your blog post so that it has a better chance of appearing in search engine results and generating traffic to your website. Differentiating your title using an alliteration, listicle or curiosity gap—within reason—has also been shown to drive clicks. A byline identifying the blog’s author allows readers to make a human connection to your content. Because blogs are often the first interaction potential customers have with your brand, it is important that they are introduced to the experts they will be working with. Offer a statistic, address your reader’s pain points or present another compelling reason to keep reading. The first paragraph should be informative enough to give an understanding of what the rest of the blog will go into detail about while remaining concise. Blog posts are generally intended to be quick reads. But business blogs also need to be thorough enough to be used as teaching tools. Educate your reader as much as possible while being mindful of length—most posts should be limited to about 400-1,000 words. Anything shorter will have a hard time ranking in search engines while anything longer is more likely to resemble a different category of content, such as a formal report, white paper or ebook. Pepper keywords throughout for better search engine optimization. Each time your posts touch on a topic you’ve already blogged about, link it! Linking to internal content keeps visitors on your website longer and builds stronger relationships with them. If you don’t have any relevant internal content to link to, consider directing readers to other non-competitor sites where they can continue learning. Enormous blocks of text will dissuade visitors from reading your post. Break up the content with subheadings or images every 5-6 lines. At the end of your post, direct readers to a new page of your website where they can learn more, make a purchase, or contact your business. The goal of blogging, after all, is to support your business objectives by generating leads, nurturing them and converting them into paying customers. Nothing destroys credibility like a typo. Have someone proofread your blog post before publishing it to make sure it’s perfect. An alluring image is much more likely to attract readers than text alone. And, it’s more sharable on social media. To keep posts looking consistent, make sure the images align with your company’s personality and audience. Categorizing and adding tags to your blog posts gives viewers a clear idea of what the content is about while increasing its chances for visibility in search engine results. Repeating this step is not an error! Its importance is so great that it begs repeating. Thoroughly review your blog once more before posting; revision and an extra set of eyes are the keys to excellence. 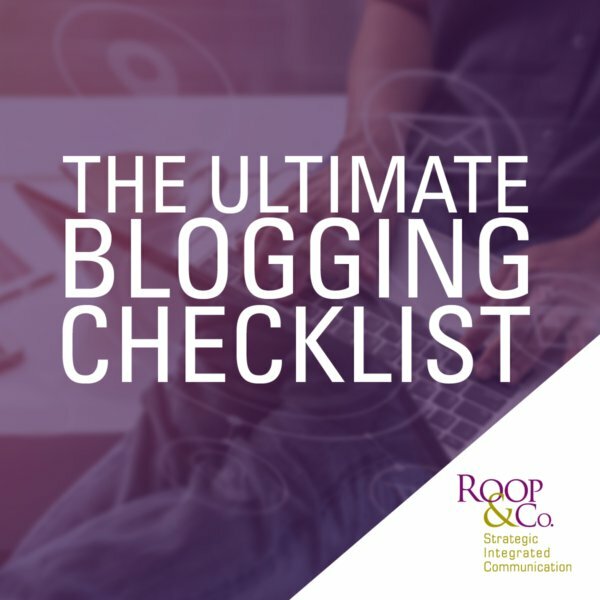 Download The Ultimate Blogging Checklist to help you optimize every single business blog post. Without a smart sharing strategy, your blog may be at risk for collecting virtual dust. Below are four actionable steps to getting your blog post out so it can reel customers in. Craft platform-specific social media posts for your blog, ensuring the language is on-brand with your business. Stagger 3-5 promotional posts over 2-4 weeks, varying the wording each time. After a couple months, post the blog across your social media channels again to continue to drive more visitors to your website. Sharing blog updates with employees keeps them informed about what resources are available to direct leads to and increases their awareness of your business’s strategy. Also, encourage employees to share and interact with the blog post on social media to further expand its reach. Acknowledging comments from your readers is a way of connecting with them. Especially if people reach out with questions. Take the time to respond intelligently, as this could be either the beginning or the end of their relationship with your brand. Understanding how many people read and interact with your blog post is critical to planning your future strategy. Analytics provide insight on what works and what doesn’t, so you can refine your approach to blogging to best suits your audience. But the true metric of a successful business blog is leads. Some posts may attract high-quality leads but only a few views, so be sure to actively keep track of new business coming in and not page views alone. Creating a repository of blog posts drives traffic to your website, helps convert that traffic into leads and builds leads’ trust in your business. Blog content also has a symbiotic relationship with social media—original content feeds the momentum of your social media presence while social media serves as a promotional tool for your blog. Despite its cyclical benefits, an intention to start business blogging regularly can easily remain on the backburner until the idea burns up completely and your “blog” is just a barren time capsule to that one time you posted three years ago. Having an established checklist of to-do items before and after you post gives your blog a greater chance at sustainable longevity, because it enables content creation to happen with machine-like efficiency. The more blogs you publish, the more chances your website has at ranking high in search engines. Refer to our printable Ultimate Business Blogging Checklist to keep yourself and your staff accountable. Interested in building a lead-generating blogging machine for your business?